Established in 1998, Arcotherm Private Limited is a well-known organization engaged in manufacturing, exporting and supplying of Temperature Measuring Instruments. Our wide gamut of product line includes Aluminum Die Casting, Thermocouple and Industrial Thermo wells. We have received supreme accolade in our business for engineering top-of-the-line instruments in conformity with international quality, performance and design standards. Our onerous endeavor is centered to manufacture technologically advanced in sturdy designs, therefore ensuring safe and optimum functions without substantial maintenance. Moreover, owing to our strong records, easy mode of payment, reliable vendor base, crystal clear business dealings and timely delivery, we have been able to gain the maximum satisfaction of the clients all over the world. Keeping latest architectural layout and business requirements in mind, we have developed a robust infrastructure set up. Our product line is engineered by highly skilled and qualified personnel employing modern machines and tools. For meeting the diverse requirements of honorable customers, we provide customized products manufactured under stringent norms. 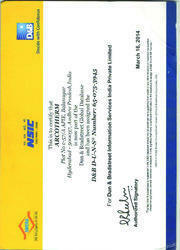 With the range of superior qualitative products, we have achieved trust of our esteemed clients. With high level of engineering and consummate expertise involved, we are supplying our products to vast clientèle. Under the able guidance of our proprietor Mr. Raju V. K. Biz, we have been able to build a huge client base. His sharp business acumen and mentorship skill has enabled us to carve a niche for ourselves in the industry. Manufacturing and Trading of Temperature Measuring Instruments. We Are Reputed In The Market As A Quality Centric Firm And Offer High Quality Products To The Clients. Our Quality Personnel Sternly Check The Manufactured Products On Various Quality Parameters To Deliver Flawless Products To Our Valuable Clients. In Order To Design And Manufacture These Products In Adherence With Set Industry Norms, We Use High Quality Raw Material And Advanced Technology. Thus, We Are Able To Maintain The Accuracy And Quality Of Products From Production Till The Dispatch Of Products. 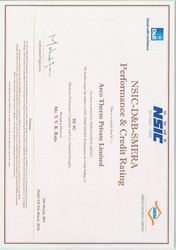 Please find the Arcotherm D&B SMERA credit Ratings Certificate. We are also able to meet the customized demands of these industries through our products. Our dedication and consistent hard work has helped us a lot in strengthening our relationship with the current clients and gaining new ones. * Due to Internal NDA aggrrement we cant furnish our client names. Over the years in the industry, we have earned an enviable reputation among our clients for our quality Temperature Measuring Instruments. Our company takes care of the fact that all the needs of our clients’ are met within suitable time frames. We have earned rapid strides in the market and maintain long term contacts with our clientele. There is no denying the fact that we are the preferred choice by many of our clients.